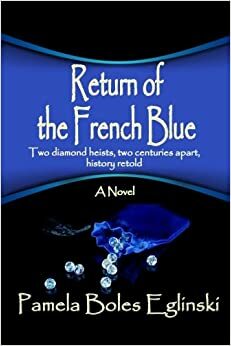 Return of the French Blue is Pam Eglinski’s first novel in a series featuring Catalina Syrah and Nicholas Bonhomme. Today she gives us an inside look at the characters, her writing styles, and more. Catalina’s paramour [spoiler alert] is Nicholas Bonhomme, spy for the French Directorate. His name, in French, means “good man,” and he is just that. He lives in Nice, France and is the son of Edouard Bonhomme – one of two main characters in the prequel to French Blue, The Third Knife [to be published summer 2015.] His father and Catalina’s grandmother worked together in the French Maquis [Resistance] during WWII. 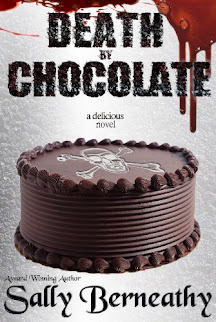 You’ll final all about that when The Third Knife is published – a novel I’m certain you’ll enjoy! 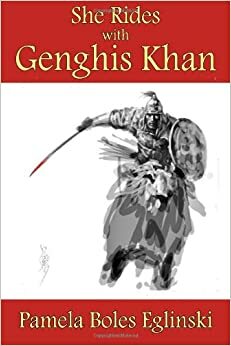 The second novel in the “Cat & Bonhomme series” is She Rides with Genghis Khan. [And she does.] That book will be featured on A Girl and Her Kindle in February, 2015. Please watch for it. You’ll find an exotic tale of a magical Buddha Jewel [I seem to be stuck on jewels] in this modern day Silk Road trek from Afghanistan to Mongolia. More of that to come next month! Many friends and fellow writers ask me where I get my ideas. Well, I read and research a lot. I continue to stumble across the “I can’t make this stuff up” information that just wows me – sending me dancing up and down the street where I live. [My neighbors have learned to tolerate my antics.] You’ll find the complete story behind the famous blue diamond in Return of the French Blue. In short here it is. Louis XIV purchased a gigantic blue diamond – about 167 karats – and had it cut down and made into a gorgeous broach. It was passed on to Louis XVI, then taken by the French revolutionaries. It was stored in a large building in the middle of Paris--- until one day when it was stolen and taken to London. Now here is another “I can’t make this stuff up” phenomenon. I was researching one month after the 9/11 attack on America. The French Blue was stolen on September 11, 1789. Yeah, really. I swear. Now here is another surprise: The French Blue diamond was ultimately sold to the Hope family in America. You can see it today in the Smithsonian. It is the Hope Diamond. So my research shapes my plot and adds to the richness of my novels and my characters. It’s that simple – or that hard – however you want to look at it. I must say that I love to research and read. My husband is my timer. He finally says, after I’ve been researching for six to nine months, “Pam, it’s time to write now. You can research forever, you know.” Yes, my husband knows me well. At that point I sketch out an outline/a plot and begin to write. It’s a joy and a pleasure to create characters, sculpt their environment, and create challenges and dangers that they must overcome. This is “the wild ride of life” that I pack into each novel in an effort to engage readers, and take them from their contemporary world into a story that transports them beyond themselves. That’s entertainment, and that’s my gift to you. I love my characters, and yes there is a little bit of me in Catalina. I was born in San Francisco, and grew up about 25 miles south in San Carlos. I have an MA from University of Kansas – specializing in Asian Art History. You’ll find both of these characteristics in Catalina. She grew up in Napa Valley, attended UC Berkeley and is completing a PhD in Asian Art. But here is where we diverge—she worked for the CIA for five years and still carries her grandmother’s small-of-the-back knives in a holster crisscrossing her back. Back to me: I had a long career in fundraising and non-profit management. Retired early to write novels. Here I am twelve years later, having the time of my life!